Lovelyz' Jin is taking a break from promotions. On June 21, Woollim Entertainment officially announced that Jin will be temporarily halting all promotions due to health issues. "Hello, this is Woollim Entertainment. We appreciate all the fans who give love to Lovelyz. We are here to inform about member Jin's temporarily break from promotions. Lovelyz member Jin was unable to participate in Lovelyz' special digital single album due to health issues. During preparation for the new album, Jin visited the hospital for health issues. She is currently recovering her health after receiving medical experts thorough examination and treatment. We believe the artist's health is first and foremost. After a discussion with her and her family, and the doctors, we decided for her to take a break. Lovelyz will be starting their promotions for the special digital single album as a group 7 at Mnet 'M Countdown' on June 28. 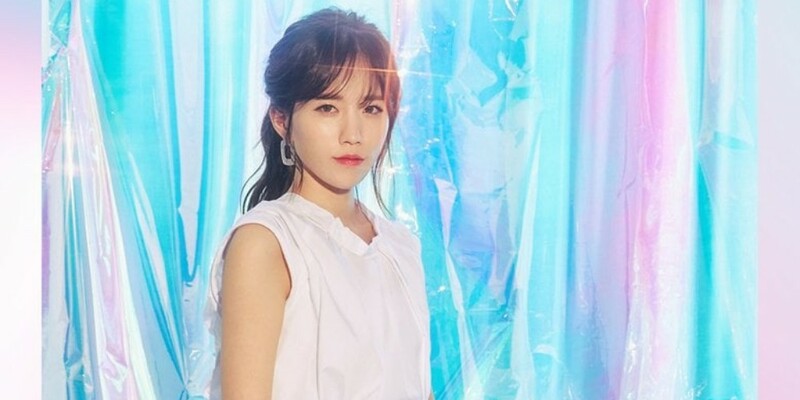 Jin plans to rejoin the group and greet fans as soon as she recovers. We sincerely apologize for causing concerns to the fans with the sudden news. We promise to work our best for Jin's fast recovery and successful album promotions for Lovelyz.